At the very heart of your operation is your driver productivity. Your business succeeds or fails based on this number. Everything you do needs to be in support of this critical business metric. It's the reason for all that you do if you want to be a successful contractor. Closely related to your productivity is your operation's efficiency. It's what you do and how well you do it. 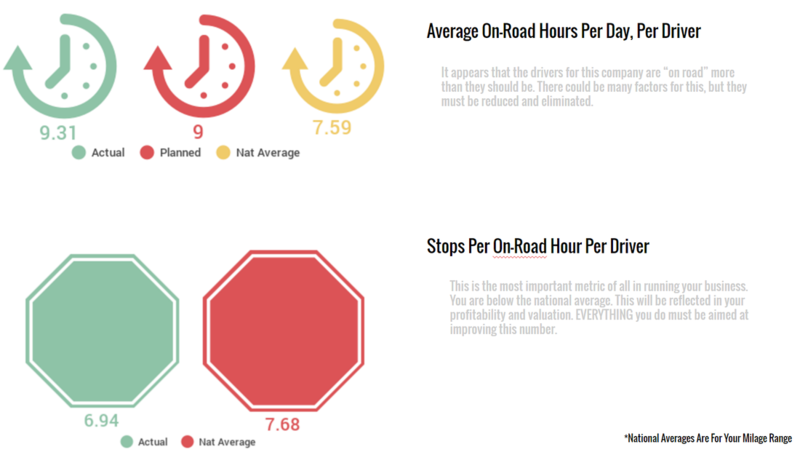 Miles, Stops Per Mile, Packages Per Stop and many other metrics make up how efficient you and your team members are. We measure all of these things to come up with your efficiency score. 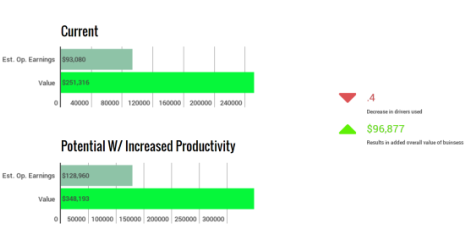 Higher efficiency results in more Productivity. Efficiency and Productivity leads to earnings. This is the RESULT of all of you and your team's hard work. 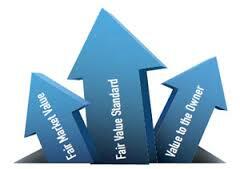 It is also the basis for many of the different ways to value your type of business. We use your results, or if they are not available, we have a vast database to draw some assumptions from. From here we can calculate your operating ratio which is a transportation industry standard measurement of your ability to produce Earnings. Based on all of the other metrics measured above, we can then come up with an object opinion of value. 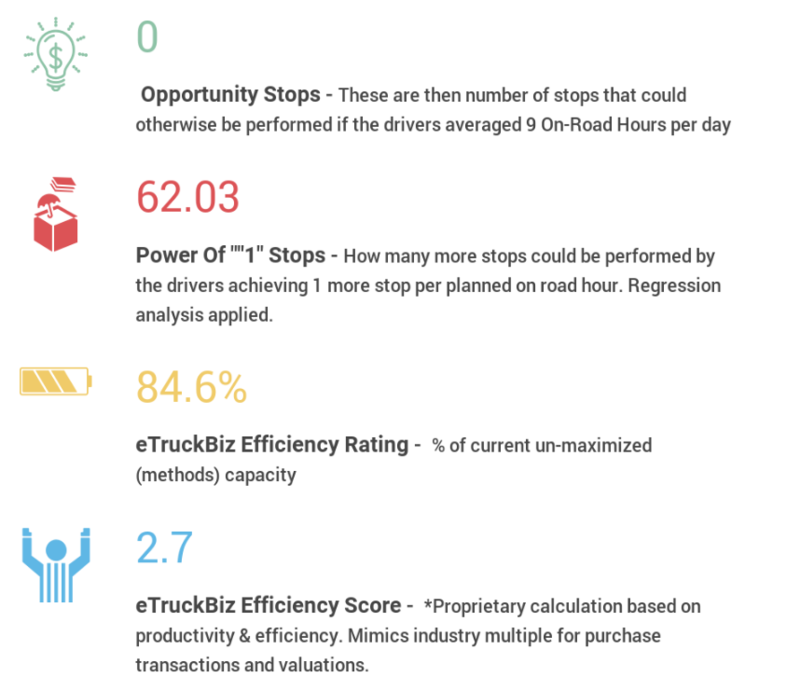 We calculate your eTruckBiz Efficiency Rating, then grade it using a range of values we call the eTruckBiz Score. This score mimics industry multiples used to value a business such as yours. It is the way we can set an objective standard for business values. Why Should I Care About All Of This? 1) If you want to increase the operating results (Profit) of your business, you need to know where you stand so you can make the proper decisions that will effect positive change. 2) If you are contemplating an exit strategy, in order to get top dollar for your business, it needs to be as profitable as possible. You must know where you stand when contemplating a selling price. 3) If you are purchasing a current operation, and you want to check the fitness and possible value against a standard method of doing so, there is no other way of doing this. How can you tell what my business is worth? We can't. Your business is worth what a buyer will purchase it for. We can, however, based on our nationwide visability and database of operating results, come up with a very good, "Standard" opinion of value. Contact us at 855-873-8585, and we'll tell you how you can get yours!